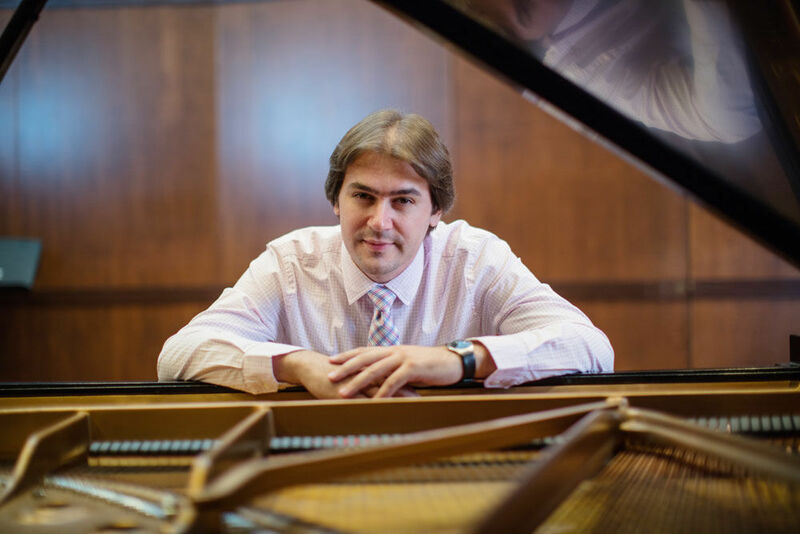 Coordinator of Keyboard Studies SILVAN NEGRUTIU returns to the Kirkland Fine Arts Center stage to present a solo piano recital on Sunday, April 7, 2019, at 4:00 p.m. The program includes the world première of American composer Robert Chumbley's Five Bagatelles (2018)***, alongside Australian composer Carl Vine's Five Bagatelles (1994) and Franz Liszt's exquisitely Romantic Sonata in B minor. Negrutiu will also present a preview of his Kirkland recital (music selections and Q&A session) on Wednesday, April 3, 2019 at 12:15 p.m. at the Madden Arts Center downtown Decatur (125 N. Water St.). The Mid-Day Music brown bag lunch events are hosted by the Decatur Area Arts Council, in collaboration with Millikin University School of Music. ***Robert Chumbley's Five Bagatelles were commissioned in 2018 by Millikin Piano Club and the composer dedicated these pieces Negrutiu. Chumbley will be in attendance to deliver remarks preceding the world première on April 7. He will also lead a piano & composition masterclass on Saturday, April 6, at 2:00 p.m. in Perkinson Music Center Room 110, featuring Millikin piano students who will work with the composer on his new pieces.